It's not often that you get to sit down with a Sports Illustrated photographer and learn about life in the end zone. 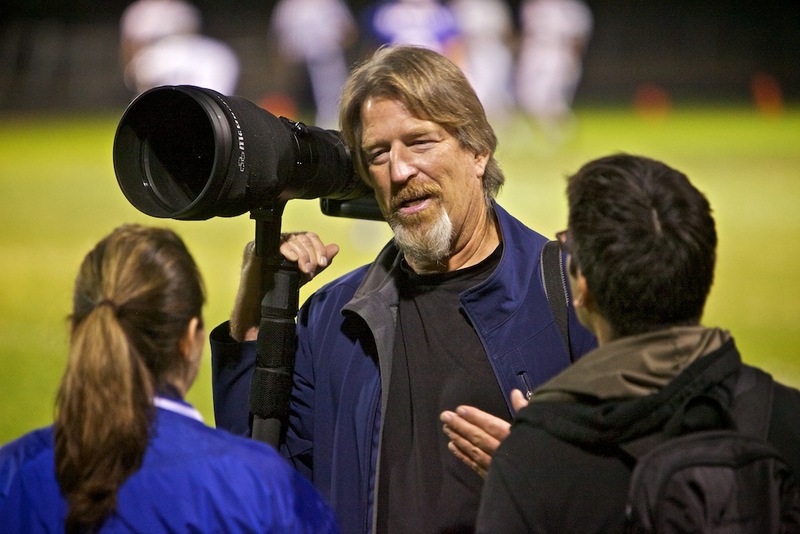 But on Monday, Dec. 12, from 11 am to 12 pm PST (2 to 3 pm EST), you can have a seat at the table with Robert Beck sharing his secrets to sports photography. And it's free. Robert Beck hanging out at a football game. Photo by Derrick Story. Click on image for larger version. I had a chance to hangout with Robert on the sidelines a while back. He's incredibly down to earth for a guy who's published numerous cover shots and double gates. Now you'll have a chance to hear those same stories and insights that I enjoyed so much. To reserve your spot, sign up now, then log on Monday Dec. 12. It will be time well spent.